Holiday Cottages in Scotland. 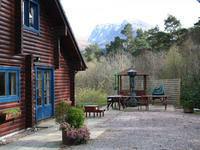 View details for The Logs in Fort William, Highlands. Provided by Holidaycottages.cc. The comfortable accommodation includes a spacious lounge with gallery sitting room over, dining room, well-equipped breakfast kitchen, 6 bedrooms (2 of which are en suite) and a bathroom. 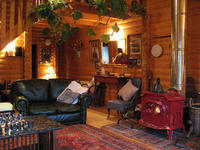 There is a wood-burning stove in the lounge, gas central heating, 2 TVs, DVD, video and CD player. The large garden and patio area is bordered by the remnants of the old Caledonian pine forest.